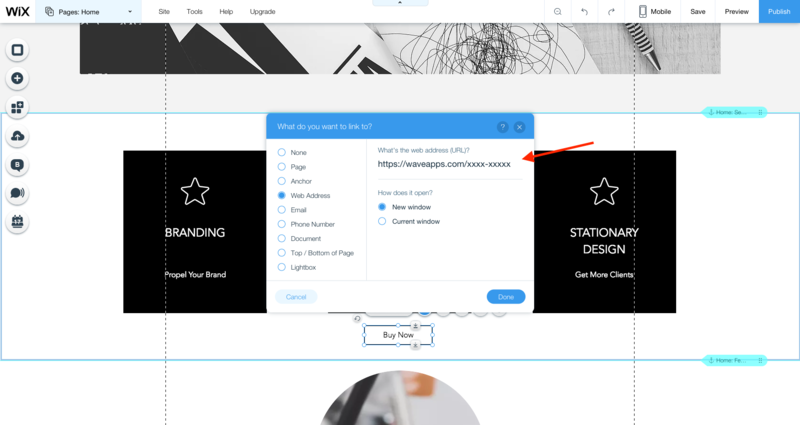 This guide will walk you through how to add Wave Checkout to your Wix website using the new Wix Editor. That means your customers can pay you in advance, through your website! Checkouts work best when you use it to collect payment for a fixed cost service. 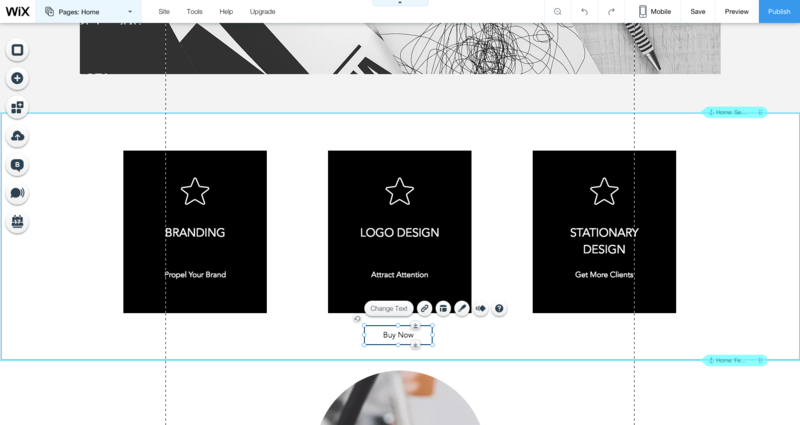 Launch the Wix Editor, and find a section on your site that lists services you would like to collect orders for. In this example, we’re using a web designer’s service section. Click the Add button in the top left navigation menu, and hover over Button. Click the button style you wish to add to your website. Once you’ve placed your button in the appropriate section of your website, make sure the text in the button is appropriate to the service you’re offering. After you’ve set the text, click the “link” button to the right of “change text” in order to add a hyperlink to your button. Select Web Address, then paste the link provided by Wave into this field. 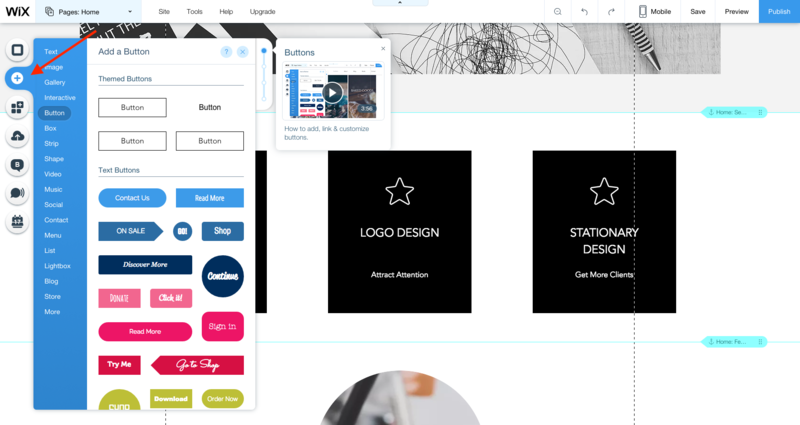 You can tell Wix Editor whether you want the Checkout to open in a new tab, or in the same window. Once you’ve completed these steps and you like how everything looks, click Publish to make your changes live on your Wix website. You're all set to start collecting orders directly from your website!